Spread across three floors of the 126-year old Roundhouse building, the ritzy, revamped Soho Residence offers a ground floor with art deco style, late night basement party space Festival Club and first floor Gin Parlour. There’s a real sense of style with snug sofas and huge windows, rich fabrics and hanging foliage. 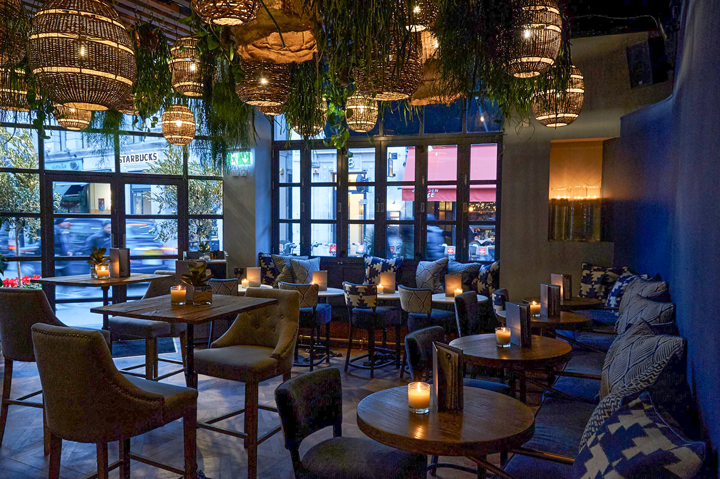 With a capacity of 350 and spread across three floors at 83-85 Wardour Street, this restored space, formerly known as The O Bar, will be open until 3am Monday to Saturday, and 12:30am on Sundays. 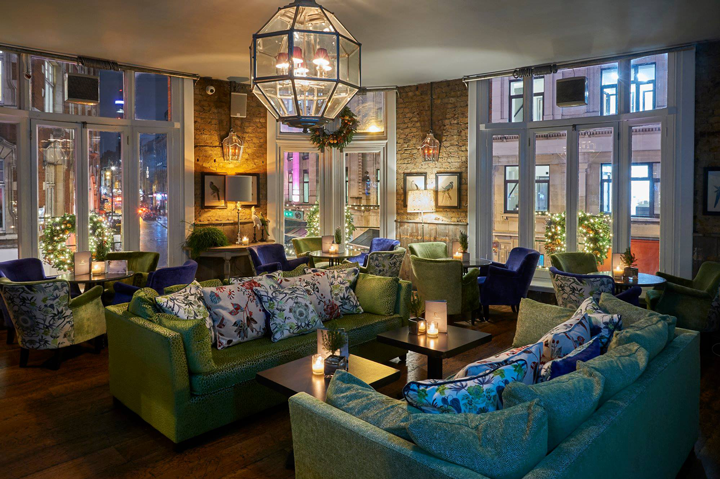 Gin Parlour has high ceilings and tall windows which direct your gaze down to the bustling streets of Soho below as well as snug sofas and sumptuous fabrics. An extensive selection of the world’s finest gins, exquisitely executed classic gin cocktails and modern gin pairings. 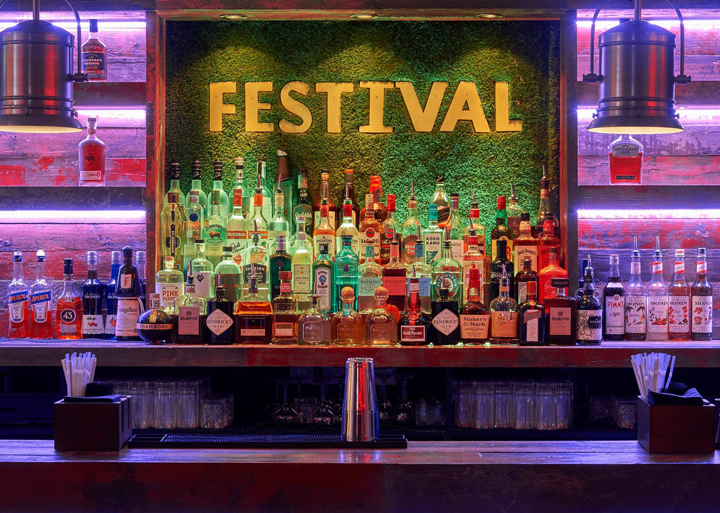 The basement Festival Club is a place to be mischievous with high-end lighting, big screen imaging and a selection of craft beers and refined cocktails. A welcome addition to Soho from Siobhan Magill and Keith Todd who also run Freedom Bar Soho.